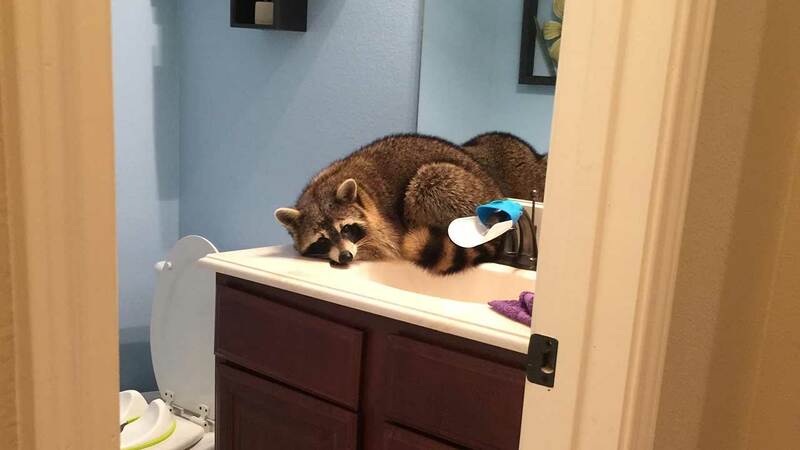 HOUSTON (KTRK) -- Check out what a family in north Houston found lounging in their bathroom early Wednesday morning! This photo came to us by a viewer. If you see news happening, email a photo to news@abc13.com or post it to social media using #abc13eyewitness.